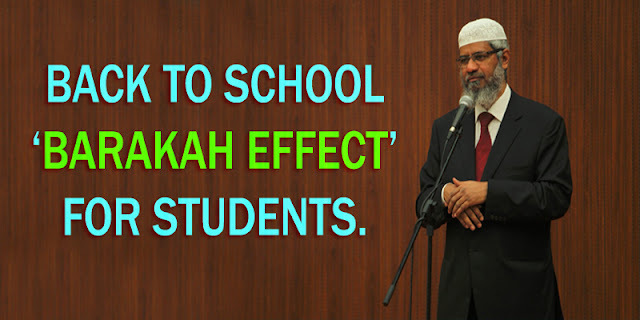 Home / Unlabelled / ​BACK TO SCHOOL ‘BARAKAH EFFECT’ FOR STUDENTS. ​BACK TO SCHOOL ‘BARAKAH EFFECT’ FOR STUDENTS. wants me to be happy and successful → Skip salah today. The mindset described above is what is known as a scarcity mindset. It views the world through a lens of fear and loss. If one of our friends lands a desirable internship, a scarcity mindset makes us feel jealous and angry because we feel like we deserved it instead. This is a trick of Shaytan as the ayah highlights. When things do not go our way, he makes us feel like we are losing control and we have to now do whatever it takes to get back on track. This is one reason people will cheat on an exam, holding the short-term fear of a bad grade over the long term consequences. An abundance mindset is the opposite. It knows that there is not only one opportunity, and someone else’s success does not have to be accompanied by our loss. It is essentially understanding that the limits in our own head do not apply to the universe around us. As a student, our focus should always be on the process: What are my daily habits and routines? Are my prayers in order? Am I going to class, studying, meeting with other students? These are the actions meant by ‘tie your camel’ – and once we do so, in sha’ Allah, Allah will bless our efforts and put barakah in them allowing us to achieve even more than we could have envisioned for ourselves. Do you think you can apply this in your life? What challenges do you face? Share with us in the comments.